This year, box checks at Grafton Wood will generally take place on the last Tuesday of each month. Some dates (such as this one) will take place on Sundays due to lead volunteer availability. Please check member emails for more updates. Anna Dudley will be leading the checks and will confirm a meeting time and place shortly. 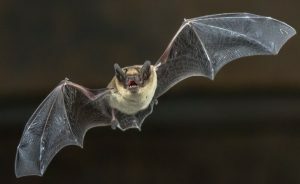 The checks are open to all members of the bat group, however numbers are limited to ten people per session, so please email Livvy (secretary@worcestershirebats.org.uk) if you are coming so that she has a record of numbers. (If interest is substantial, places will be allocated on a first-come basis). Please also mention whether you have a L2 bat licence (more members may be able to attend if we have additional licensed volunteers). The species records from these checks help to inform the Wildlife Trust in how the reserve can be managed for conservation, Bechstein’s have been recorded previously at this site so we are keen to continue monitoring for them. Please wear weather-appropriate clothing and bring some food/ drink to keep you going if you think you will need it.